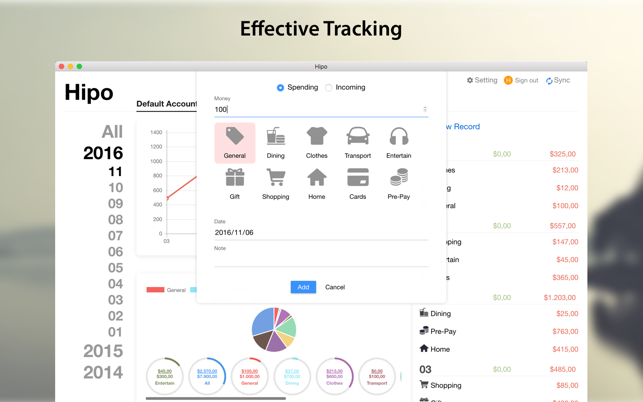 Hipo is a simple and efficient app that help to track your expenses and income, focusing on expenditure budget. Fast tracking. Efficient financial management. Simple action, control spending. 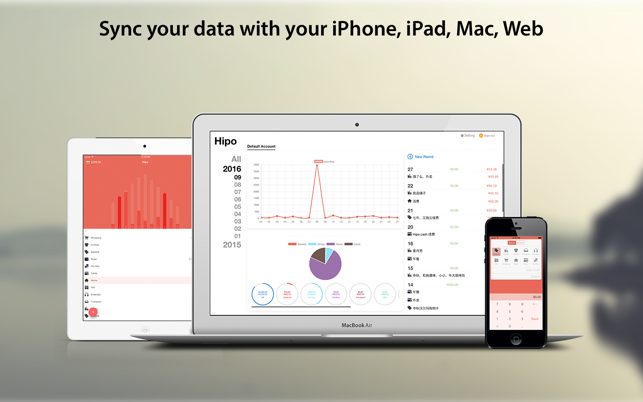 Hipo also support iOS and Web,free sync data across all platform. 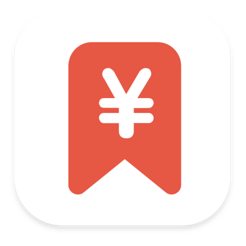 https://hipo.cash !!! Based on Apple CloudKit, data is stored in the cloud, mutil-devic sync, Free, Safe, Stable, Never be lost. - Focus on budget: Budget expenditure, planned to spend money in order to achieve the real purpose of billing. 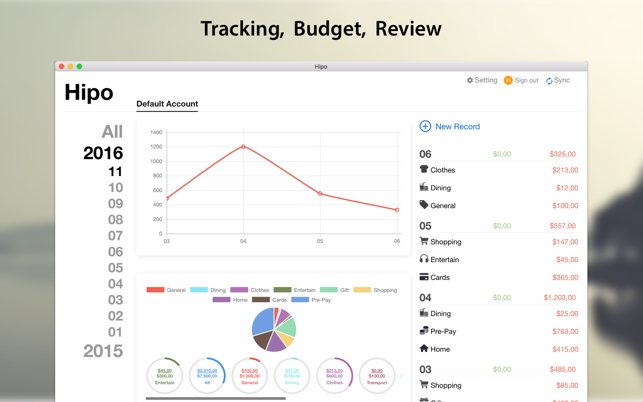 - Monthly expenses, budgets, statistical in Home page, Simple and Elegant. 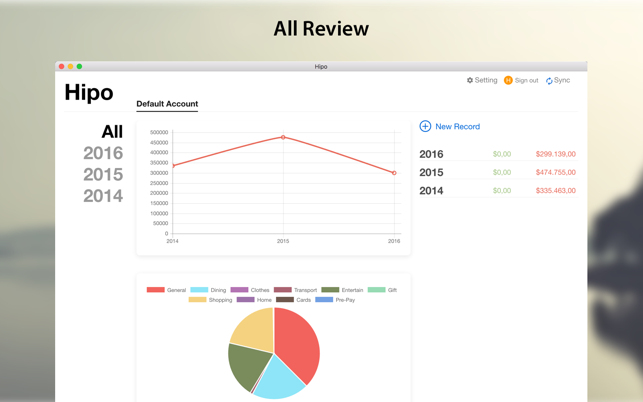 - Quick and easy to review: LineChart, PieChart. - Sync with Hipo iOS. Do not get this, spent a lot of imputing and this app does not allow you to print or export info. Absolute waste of time.